Bullying, the hot-topic documentary subject of recent years, comes home in the new nonfiction short film REJECT, made by New York-based producer-director Ruth Thomas-Suh. After its appearance at the 2013 Cleveland International Film Festival, followed by engagements in the UK and France, REJECT makes an appearance, with a panel discussion, at Parma High School on Saturday, May 3. The film crosses the country to present two cases of youthful pathologies that resulted in abuse, and worse. Right here, in Mentor, two bereaved parents, Jan and Bill Mohat, recount how the long-term persecution of their son Eric culminated in his suicide at age 17. In Oklahoma, meanwhile, Justin, only age 5, is already in constant trouble and displaying the psychological profile of a bully-in-training. Experts in the fields of medicine, law and social work lend their thoughts about what factors contribute to an unhealthy, bullying environment. 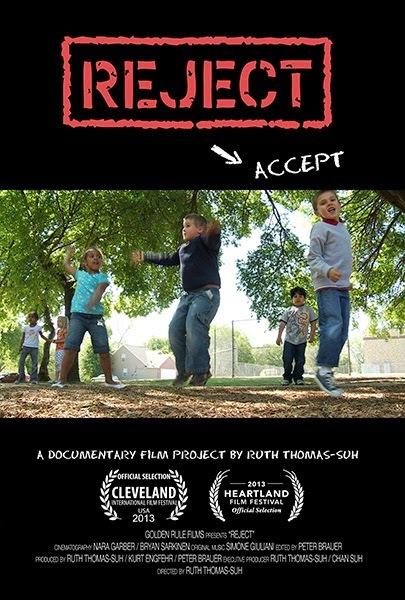 REJECT will screen at 1 p.m. at the Parma High School auditorium, with Ruth Thomas-Suh and Jan Mohat in attendance. Admission is free, and a community forum will accompany the event, which is expected to last until 4:30 p.m.